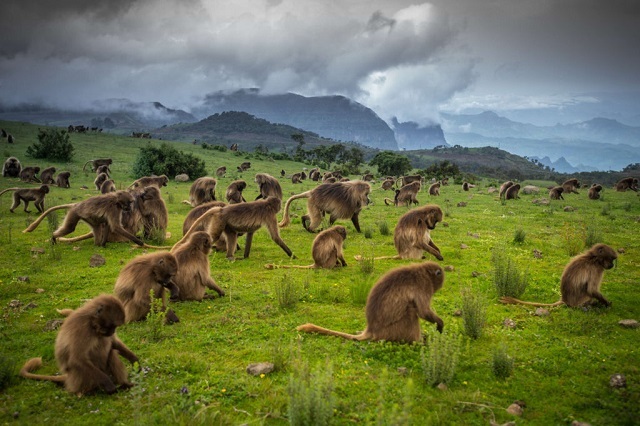 This tour is ideal for travelers who want to explore the highlights of Northern Ethiopia’s Historic Route and the stunning Simien Mountains National Park in a short time. 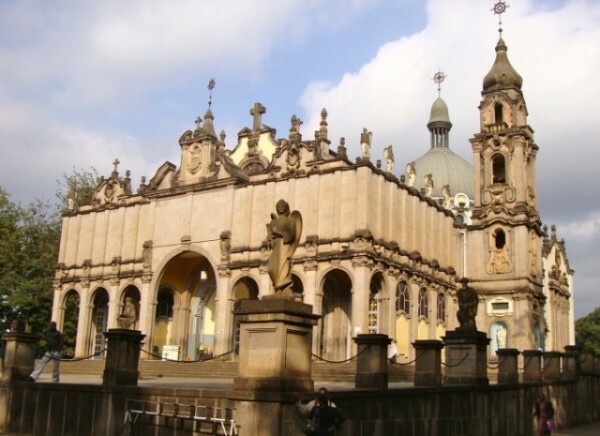 This tour may be perfectly combined with any other Ethiopia tour or a beach holiday on Zanzibar or the Seychelles. This tour may be conducted during the whole year (from mid-June – mid September local heavy rain showers are to be expected in the Northern highlands, however, in many places, the rainy seasons has its special delights). 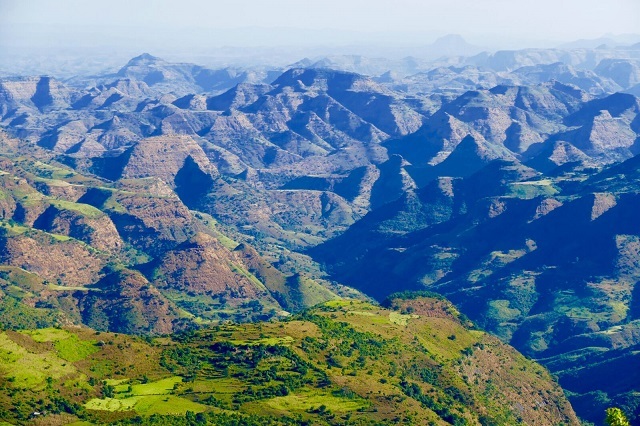 Early in the morning, we continue our journey to the Simien Mountains National Park auf. We will reach the Simien Lodge, the highest lodge in Africa, around noon. After lunch, we start exploring the Simien Mountains National Park. Due to its unique landscape and its endemic fauna the park has been declared a UNESCO world nature heritage site in 1996. In the park, you may experience the very close interaction with the friendly Gelada Baboons. 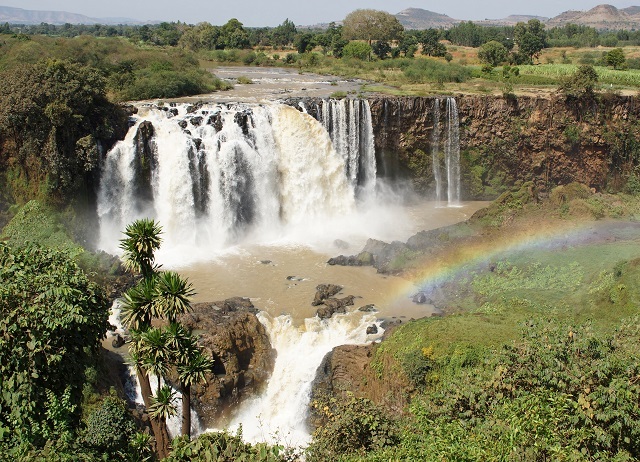 We drive up to Sankaber (3’220m) and admire the impressive scenery with its deep gorges and valleys and the highest waterfall in Ethiopia. Here a gentle walk would take us about 2 hours. We hope to encounter further endemic animals, such as the Walia Ibex and the Simien fox. In the late afternoon, we return to Debark, where we will spend the night. After breakfast, we continue to Axum (approx. 7hrs.) with once again stunning views. 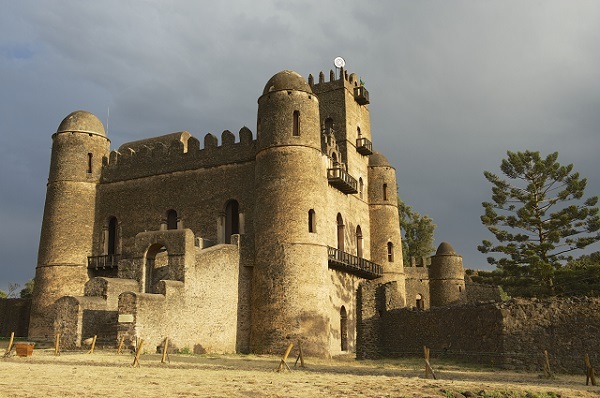 Axum at an altitude of 1637m is considered a holy city in Ethiopia where Ethiopian Christianity is said to have begun, dating back over 2000 years. 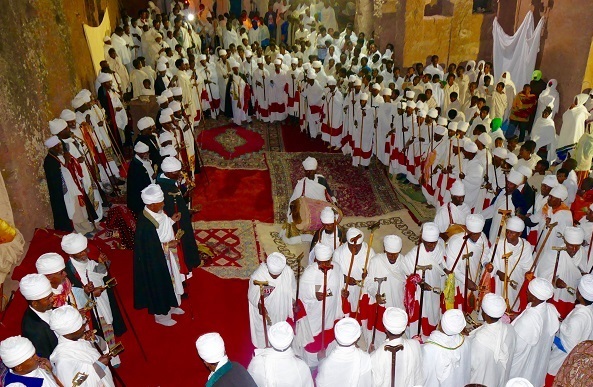 The Axumite kingdom is also considered the cradle of Ethiopian civilization. 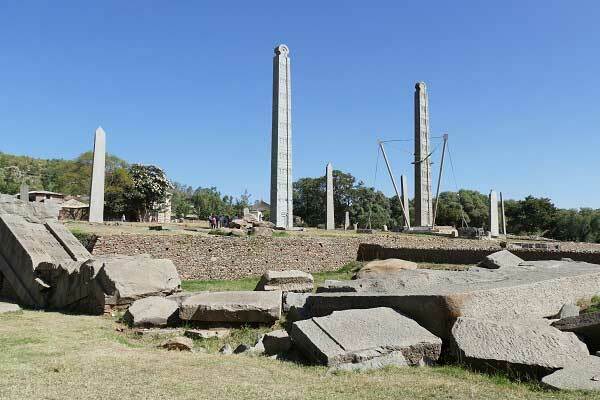 The city tour of Axum includes: Axum stelae or obelisks, the largest single piece of stone erected by human beings anywhere in the world, castles of former monarchs, Mariam Tsion Church which is built on the site of Ethiopia’s first church, the Palace of Queen Sheba, the inscriptions King Ezana and the tombs of the kings Kaleb and Gebre Meskel. After lunch, we will drive through the amazing rocky landscapes of Tigray to Mekelle (approx. 3 hrs). 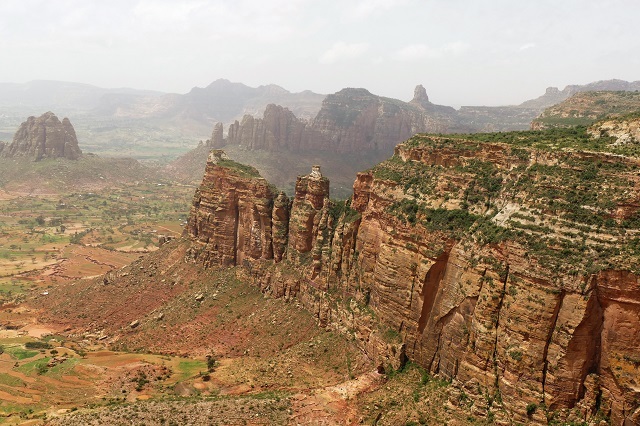 On the way, we will visit the churches of Wukro Cherkos and Abreha We Atsbeha, among the most famous churches of the Tigray region. 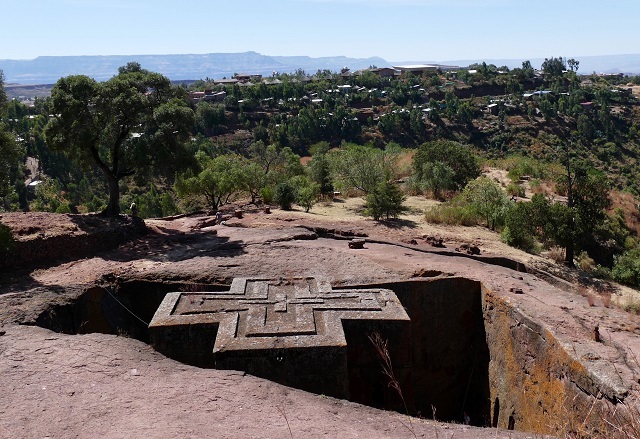 Today we will visit the 11-renowned rock hewn churches of Lalibela, also known as the “8th wonder of the world”. The Lalibela rock hewn churches are physically carved from the rock on which they stand. These towering edifices seem to be a superhuman creation in scale, workmanship and concept. Some are sculptured out of a solid volcanic rock, others are connected by long underground tunnel and mazes. Some are quarried enlargements of caves. The first group of six churches lies in rock cradles, one behind the other: Bet Golgotha, Bet Mikeal, Bet Mariam, Bet Maskel, Bet Dangal and Bet Medhanealem. Bet Medhanealem, the largest rock hewn church in the world is built like a Greek temple.